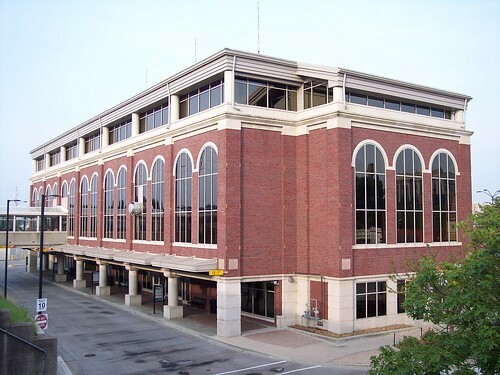 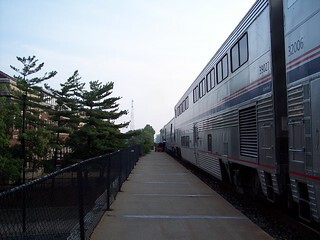 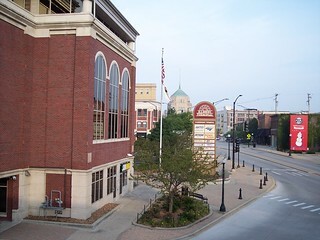 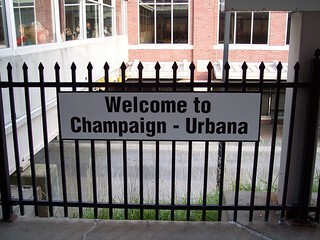 The large modern Champaign - Urbana station. 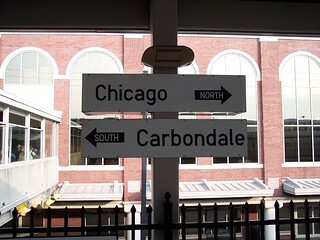 Apparently the new station is called Illinois Terminal. 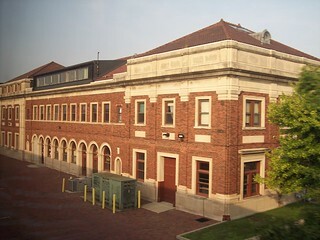 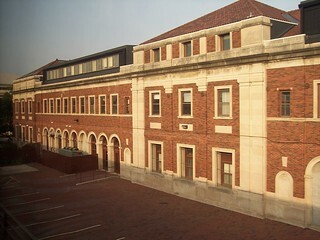 An older station sits just to the north of the current station. 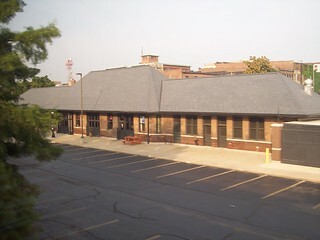 A smaller old station can be seen further north.